Metal Queen Doro Pesch is paying tribute to the late, great MOTORHEAD frontman Lemmy Kilmister with a new video on the one year anniversary of his death. The video is for the song “It Still Hurts”, one that she recorded with Lemmy back in 2012 and you can check it out below. 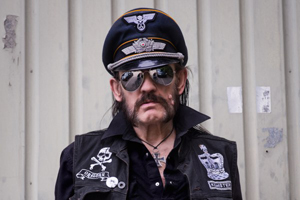 Lemmy left this world on December 28th, 2015 after a bout with cancer. “Today is exactly one year since the rock & roll world lost Lemmy Kilmister, one of it's greatest ever - and one of my best and most beloved friends. One year... and we miss Lemmy so much. The wish to honor him and his remembrance day with a video, showing some beautiful moments, came from deep within our hearts. And here it is: In Memoriam - Lemmy, one of the greatest heroes in rock!